Cars come and go from Hamilton Place mall in Chattanooga, Tenn., Monday, July 24, 2017. Hamilton Place will be 30 years old this August. 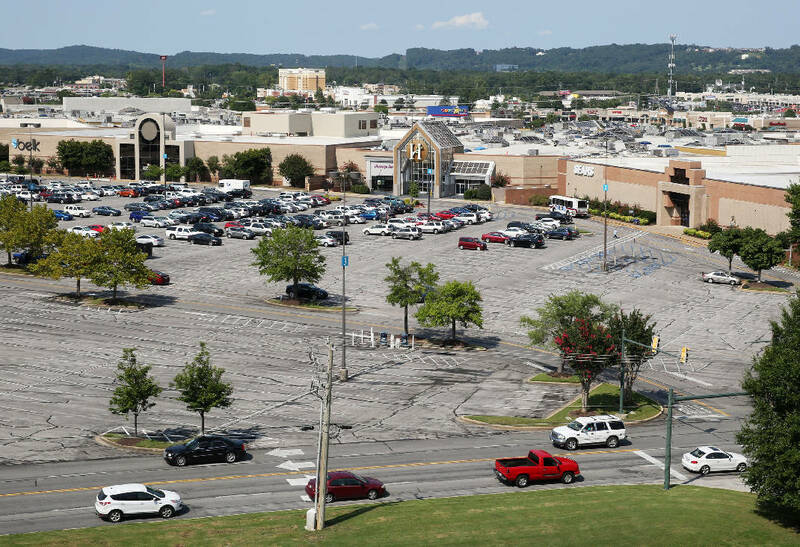 A restaurant site near Hamilton Place mall sold recently for $2.3 million as the shopping center continues as the Chattanooga region's top retail hub. 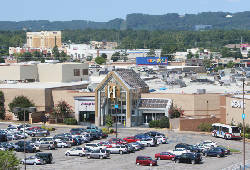 "It still has a lot of retail strength," said Chattanooga real estate broker Rudy Walldorf of Herman Walldorf Commercial about the mall area, noting the restaurant location sold after only about three weeks on the market. He said the Kanpai of Tokyo site, which opened in 1991, was purchased by a development group that will operate it as a Japanese steak house. He said the name will change to Hana Steak & Sushi. Charles Lebovitz, chairman of shopping center developer CBL & Associates Properties Inc., said such valuations of property around the mall is a reflection of demand. "Along Gunbarrel Road, there is limited available real estate, and there's a tremendous amount of demand," he said. "We've got retailers contacting us daily looking for space in the Hamilton Place area." Lebovitz quipped that "We'd like to stretch out Hamilton Place wider." The eatery's location is in the Hamilton Crossing shopping center and backs up against the mall's parking lot. Walldorf said that when new retail clients come to the city, they ask about the Hamilton Place area first. But, he agreed there are few vacant parcels left in the Hamilton Place area. He said the Waterside development off Shallowford Road has a few tracts, though it's filing up as well. Outdoor clothing and gear retailer REI plans to open a Chattanooga store as it joins grocer Publix as part of $40 million in new commercial space in Waterside, according to Jack Haylett, who is senior vice president of developer Branch Properties in Atlanta. Haylett said the REI and Publix stores are scheduled to open in the summer of 2018. The restaurant buyers are Wen Chen and Jian Ying Jiang, who operate similar eateries in Cleveland, Tenn., and Marietta, Ga., Walldorf said. They plan to update the interior and soon reopen the site, which had closed in early June, he said. The sellers, based in Greenville-Spartanburg, S.C., decided to change their restaurant concept, and the Chattanooga restaurant was outside their territory of interest, Walldorf said. "[The restaurant] does have the visibility of the mall itself," Walldorf said, adding that the deal includes some restaurant equipment.